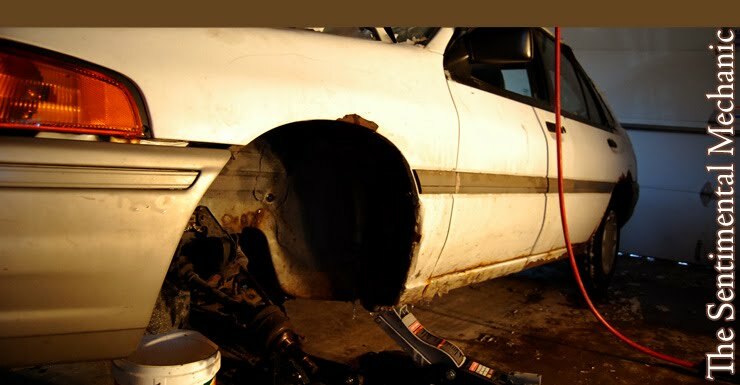 The Sentimental Mechanic: Can it be? Spell it with me! 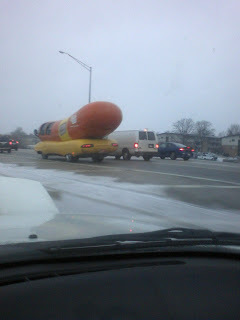 I officially saw the Oscar Mayer weinermobile in the most boring place ever. 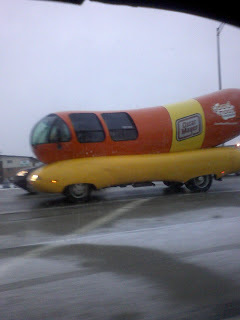 It was in traffic merging onto the I-90 West tollway while I was commuting home from work. Covered with snow, salt, and salty snow-water. Like seeing your favorite actress, supermodel, or musician taking a dump, it brings this magical meat machine down to the same level as the rest of us mortal machines. The majesty is gone.